The Mega Moolah online progressive slot jackpot now stands at more than $21.5 million, which means when one lucky gambler finally hits it, the payout will mark a new Guinness World Record. Operated by Isle of Man’s Microgaming, the Mega Moolah online progressive jackpot hasn’t been hit since one fortunate player snagged a $10.9 million win on June 24. With the prize purse climbing roughly $100,000 to more than 200,000 per day, the jackpot is at $21.5 million as of Friday morning. 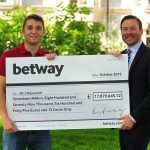 The Guinness World Records certified the largest online jackpot payout in the history of the internet in October 2015 after Jon Heywood of the United Kingdom hit the Mega Moolah progressive for $20,062,600. Mega Moolah is a five-reel, 25 payline interactive slot machine with an African safari theme. The jackpot is triggered randomly, but odds of that happening increase for those betting max bets on each spin. With the jackpot triggered, bettors then have the chance of winning the Mini, Minor, Major, and granddaddy of them all, Mega jackpot. Progressives build their purses by taking a tiny portion of each slot spin loss and directing it into the cumulative fund. Twelve Mega Moolah jackpot winners won a combined $73 million in 2017. 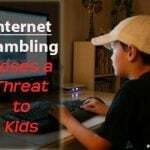 Microgaming launched Mega Moolah in 2006, and the internet format has been one of the most popular online slot games ever since. The game can be played in dozens of countries, and payouts can be collected in a variety of currencies. 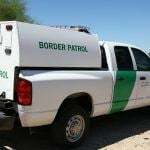 While that lucky person could be playing anywhere from the UK to Ethiopia, the gambler won’t hit the Mega Moolah jackpot from inside the United States, at least legally, as Americans are barred from accessing the online progressive. 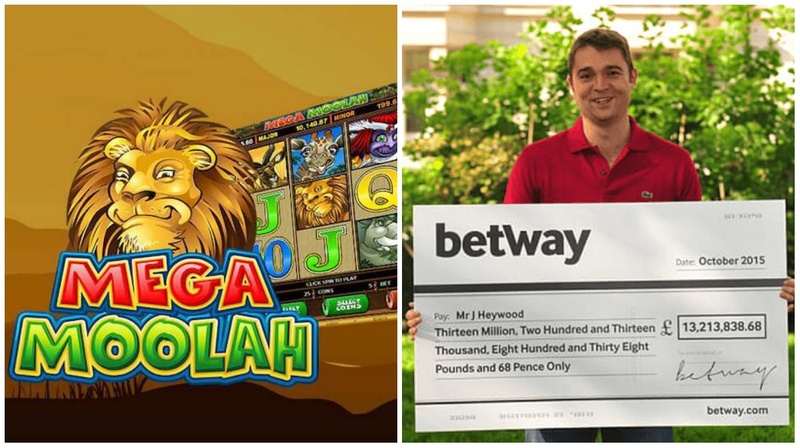 The Mega Moolah game can be found at numerous popular online casinos including Mr. Green, 32 Red, and Betway, the latter being the site where Heywood played. 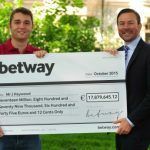 Heywood’s life-changing 2015 spin was a $6.80 wager, meaning his return on investment was about 128 million percent, not bad for a spin’s work. While the odds are of course strongly against the slots player, the chance of winning a massive fortune keep players coming back. And Mega Moolah has a long track record making gamblers into multimillionaires. While online progressives can offer a bounty of riches, the largest slot payout remains in Las Vegas. The all-time record occurred in 2013 at MGM’s Excalibur when a 25-year-old playing a $100 Megabucks machine hit the jackpot for a win of $39.7 million.